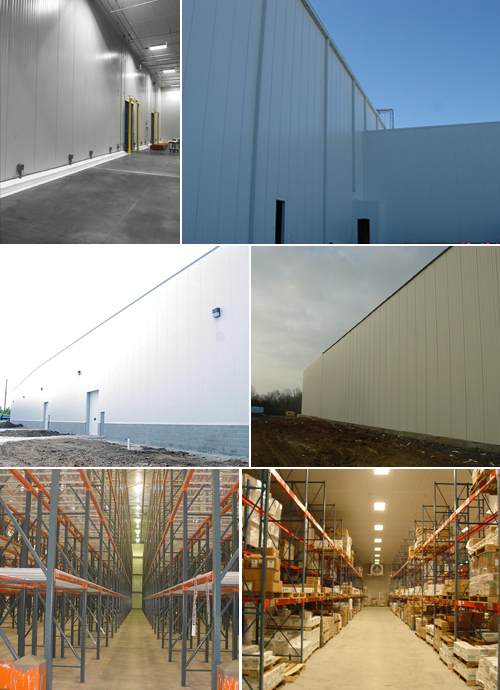 No matter what your need may be, Coldroom Systems, Inc. can make it happen with custom insulated metal wall panels, cold storage doors, and so much more. We work with you to develop customized solutions for your facility, ensuring your needs are met and the items you need to store remain as cold as you need them to be. Protect your inventory and employees with our quality fire rated wall systems. We offer two- and three-hour rated firewalls to give you the time you need to move and protect your inventory. Coldroom Systems can furnish and install the finest cold storage doors to meet your needs. We install personnel doors, horizontal sliding doors, truck dock doors, air doors, strip curtains, and blast cell doors. Trust us to design, furnish, and install the right insulated metal wall panels and doors to create a blast cell for flash freezing. Our experience allows us to build rooms as low as -76 degrees Fahrenheit... Now that is COLD!